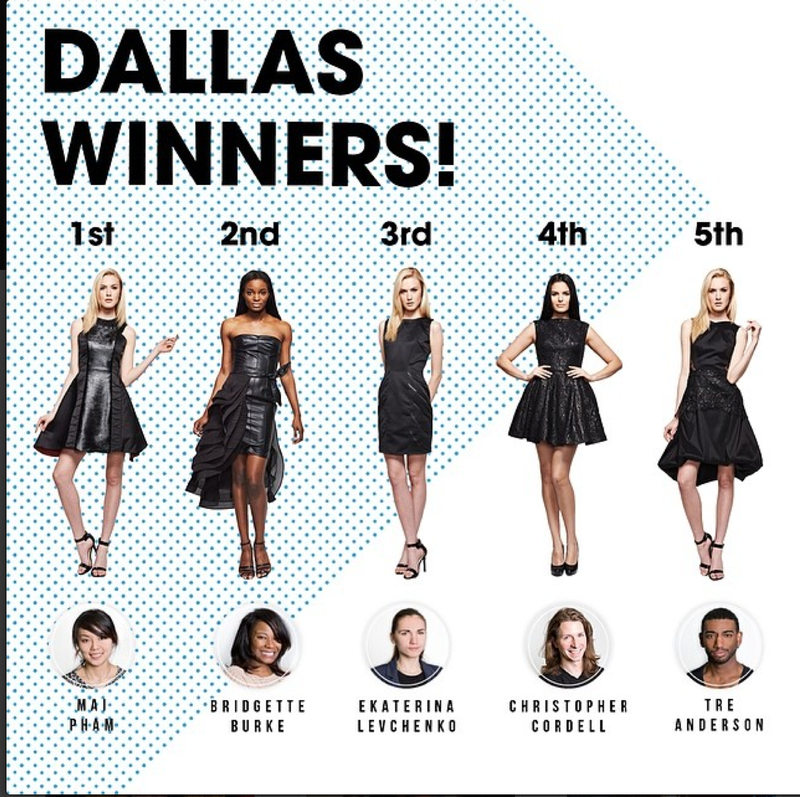 On May 14 at the House of Blues in Dallas, senior student Mai Pham received 1st Place Award in the Little Black Dress Designer. Mai states, "The Little Black Dress Designer competition was a lot of fun and it is a great opportunity for students to grow. At the end of the day, it's all about marketability and originality. I asked myself, 'How do I make this BLACK dress unique, yet marketable?' There were a lot of beautiful black dresses this year, and I feel very fortunate to be a part of that. The top 10 will get to work with a designer mentor and will be remaking their dress for their muse! I was already happy with being in the top 10 and getting this kind of opportunity! I can't wait to work with Abi Ferrin along side my fellow classmate Joey Mireles!"